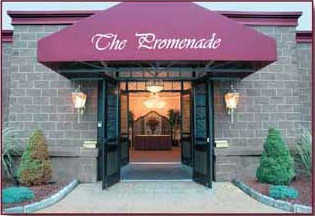 The Promenade Ballroom is one of greater Hartford's finest banquet and conference facilities. The elegant and versatile ballroom seats up to 350 and can be divided to suit more intimate gatherings. 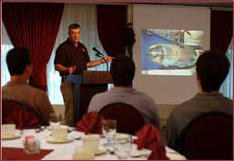 Trade shows, seminars, showers, bus tours and other special events are all comfortable in the Promenade Ballroom. We also offer complete wedding packages that can be adjusted to fit your own specific needs and desires. For more information call (860) 244-3311. We Can Help You Plan For Success Today! 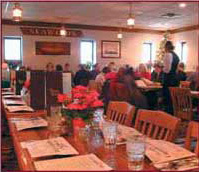 Perfect for small business functions and private parties. Truly a delightful experience! 10,000 square feet of conference solutions. We will simplify the details and the work. An award winning restaurant creates another winning concept. It's a total solution resource for conferences and events, business or pleasure. 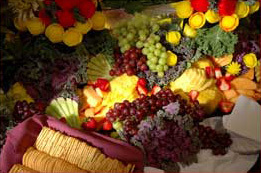 Imagine arriving at your next event and being greeted by every detail you envisioned in its place. All surrounded by an atmosphere of beauty and elegant taste. Getting down to business has never been more refined. The Promenade will elevate your or meeting from merely an event to a rewarding experience. Something that provides a long-lasting positive result.